Showing off his song writing skills and singing voice. 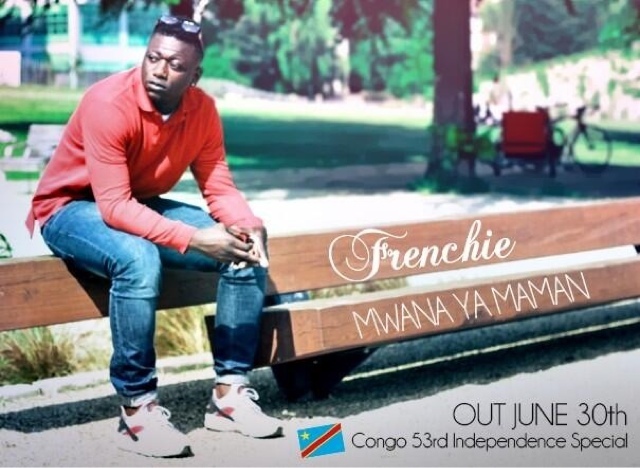 UK Afrobeats artist Frenchie debuts his single "Mwana Ya Maman". The song was released on Sunday along with the video in honour of Congo's 53rd Independence Day. The UK Afrobeat star was featured on DJ Afro B's track "Oh My" alongside Tribal Magz, earlier this year has gained recognition and a name for himself. Frenchie who also goes by the name "Omo Frenchie" keeps the video directed by Xavier Kindler, short and sweet for "Mwana Ya Maman", which simply means "Mumnys Little Girl". Currently signed to CSM (Cash, Stack and Maintain) along with Starboy Willz, Omo Frenchie is bound to release some more new material later on throughout the year.